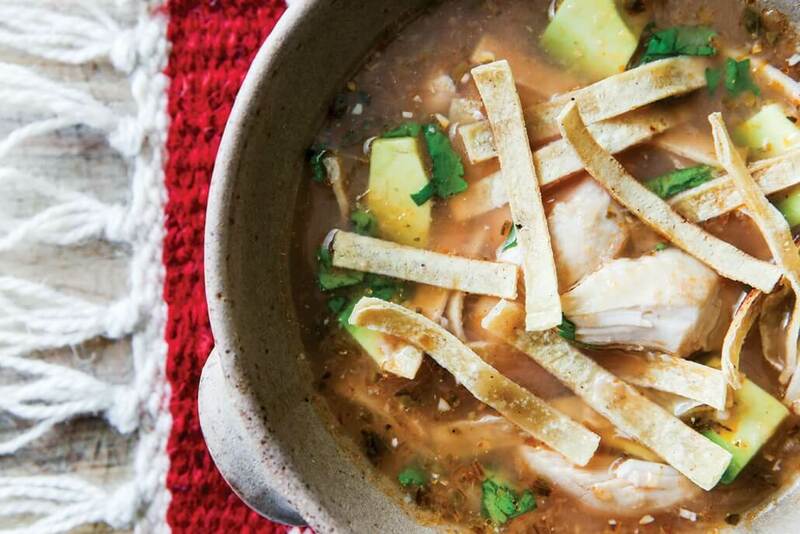 Sopa de Lima – literally translated to “lime soup”, is the specialty of the Yucatán region of Mexico, with the recipe dating back to Mayan times. 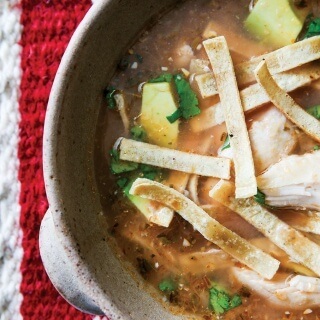 This was our favourite meal to eat in Mexico, and until you try it you cannot begin to imagine how heavenly the combination of a beautiful chicken and lime broth, avocado and crunchy tortilla strips can be. This recipe has a 2 chilli rating but can be made milder quite easily. There is also a Low Carb Healthy Fat variation. What do you think it would be like without the avocado? This soup is so delicious, filling, and best of all, so quick to make! I used skin on thigh cutlets, removed the skin prior to cooking and made chicken crackle to sprinkle on top. For not a lot of ingredients, this is flavour packed. I had to stop and think what went into it when tasting as it is sooooo good! Surprisingly easy soup to make! And delicious as well. Great way to use us avocado. I made my own tortilla strips from the skinnymixers pita bread wraps. Wow this soup is the best soup I’ve ever eaten, possibly best food I’ve ever eaten!! Super easy to make yet so much flavour & very filling (a meal on its own). Highly recommend getting marylands with skin on, remove skin & cut Maryland in half then with the skin make chicken crackle to go on top! I can’t believe something so easy to make is so delicious! Almost all the ingredients are things I always have on hand, and it was literally 2 minutes prep time. This is a fabulous soup! Well done Nik!